Over the weekend we saw images no one would have though possible in the current-day ultra-democracy European Union— that of Spanish police brutally beating their own native-born citizens in Catalonia into submission in an effort to enforce the decision of the constitutional courts that the referendum on Catalan independence was illegal and had to be stopped. In the end, over 2 million people managed to vote despite intense opposition from Spanish brute force. Unsurprisingly, the resounding overwhelming answer was “Si” to independence from Spain. As the world collectively holds its breath early this week to wait on the Catalan regional government's next move, everyone is wondering if they will really unilaterally declare their independence in a hard-liner move intended to break up the modern-day Republic of Spain. Shocking events like these are the reason that you must hold IRA-approved gold in your retirement portfolios. Gold outperforms traditional asset classes during market crisis periods. Now would be the smart time to acquire some of your own historically proven portfolio safeguarding hedge protection while you still can. 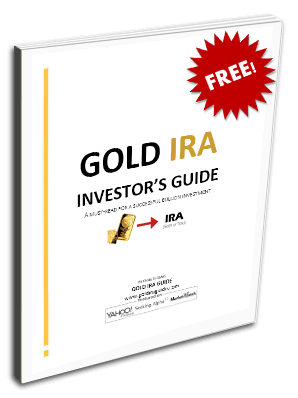 Gold makes sense in an IRA. Witnessing how serious Spain was about stopping this referendum by whatever means necessary, it was surprising to see the referendum proceed despite the presence and vigorous interventions of over 6,000 national police who were deployed from ships in the port of Barcelona over the weekend. After the police injured hundreds of Catalan independence activists in often painful to watch violent clashes, the separatist movement leaders indicated that they may go ahead with their declaration of independence even early this week. With 2.3 million individual votes cast despite the forced closing of polling stations throughout Sunday's vote, two million of these were in favor of national independence according to Jordi Turull and this government spokesman's announcement at a Monday morning press conference. Out of five million eligible voters, this means that slightly less than half actually cast a ballot in the midst of the national government opposition to the poll. Yet the separatist leaders had already announced that even on the basis of only 1.8 million total votes they would be fine with making their declaration of independence unilaterally. It is no accident that the time frame of the regional President Puigdemont could end in him making an announcement of the new Catalan Republic on October 6th. This specific date represents the 83 year anniversary to the day of the last time a Catalan President Lluis Companys declared the state's independence. The precedent from then is not an encouraging one though, as Spanish Dictator Francisco Franco proceeded to arrest and execute him subsequently for treason to the state. It is also no accident that this whole constitutional crisis in Spain today represents the most threatening one since the death of Franco back in 1975. Spanish Prime Minister Rajoy only leads a minority government, complicating the issue further as several of his Parliamentary allies are sympathetic to the Catalan cause and are shying away from him now. His own officials are finding it far harder to enforce the law of unity in this renegade region than anyone anticipated. What remains to be seen is what (if any) weight such an independence declaration would carry. It would not be legally binding, and it is also unlikely that it would achieve even a single state's recognition from either the EU or the international community at large. Despite this, it sets a highly dangerous precedent not only in Spain, but also in Italy (with Venice and the Veneto as well as the Northern League wanting independence) and Belgium (with Flanders threatening to break away as well). On a more localized level, it is also a historic level challenge to the central Spanish government's authority and that of the revered state institutions. Meanwhile, Spain refused to take the threatened planned referendum sitting down. Prime Minister Mariano Rajoy risked his chances of a backlash arising in the world court of public opinion by encouraging his deployed police officers to beat up on and beat down the Catalan voters as they seized ballot boxes and garnered international social media outrage. Yet it was the Spanish constitutional court that had labeled such a referendum illegal and supported Rajoy in his efforts to deploy the thousands of police officers. The police made no efforts to spare injury or bloodshed, and camera phones picked it all up and got the images out around the globe. One particular video revealed intense brutality as a woman was harshly thrown down stairs by policemen. In other videos, the police officers are seen forcibly grabbing ballot boxes out of the hands of terrified-looking electoral officials. Yet still the Spanish government ministers refused to back down on their actions over the weekend. Jose Ignacio Zoido the Interior Minister stated that the police had faithfully carried out their duties in defense of the law fairly and proportionally. His office revealed attacks on national police in Catalonia that had nine police officers and three civil guardsmen injured. Yet Catalonia held up statistics of 465 citizens injured by the clashes with officers on Sunday alone. Spain did receive the international support of world leaders in their efforts to carry out the law against the illegal referendum before the voting began. American President Donald Trump announced that he thought it better that Spain remained united. The French President Emmanuel Macron opined that he has only one interlocutor on issues in Spain, and that is Rajoy's Madrid-based government. You may be wondering why problems in a corner of Spain matter to you and your portfolio. The truth is that this issue threatens to knock out the fourth largest Eurozone member, a trillion dollar economy. It could easily cause another sovereign debt crisis in Europe, which the continent only narrowly avoided a few years ago. Remember the other few independence-seeking regions of Europe in Italy and Belgium as well, and it is not hard to see how a seemingly insignificant Black Swan event like this could bring the Eurozone and even the entire European Union to its knees. What is bad for the EZ and EU is bad for your investment and retirement portfolios. It's time to review the Top 5 gold coins for investors. Remember that IRA-approved metals can safeguard the value of your portfolios when all else fails.